The Green Knight: Family and Hurricanes and Terminators, OH MY! Family and Hurricanes and Terminators, OH MY! We did a great deal more after our eclipse trip last month but multiple hurricanes distracted me from blogging about it! After the eclipse in Charleston, we spent a couple of days at the beach in Hilton Head. It was a bit hot and humid but it still always does my heart good to feel the sand between my toes. This midweek diversion was the prelude to a weekend trip to visit my brother and his family in St. Petersburg, Florida. The primary purpose of this trip was to meet the new addition to his family but we (I) planned it to coincide with the theater release of Terminator 2: Judgment Day! The rest of Nick's family conspired with me to keep the visit a surprise from him so, when we showed up at his door Thursday evening (with movie tickets already in hand! ), he was pretty taken aback. 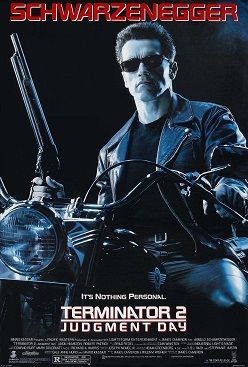 T2 was a favorite movie of ours when we were teens and we watched it over and over again on video. It was a real treat to see it 26 (!) years later in the theater again. While the movie experience was fun, nothing can compare to spending time with the people we love. We enjoyed meeting our new niece and spending time with our rapidly growing nephews as well. It was a relaxed weekend of family, food, and fun. Unfortunately, during this same time, Hurricane Harvey was wreaking havoc on the Texas Gulf Coast. We stayed in close contact with our friends in Houston and were pleased that, after all was said and done, everyone was OK. Some of our friends were unscathed, some had some property damage, and some effectively lost everything - this was a real doozy! Fortunately, though, even those who experienced great loss of property survived physically and are now recovering. It will take years for Houston to recover from Harvey but it was amazing to see the "everyday" acts of heroism even during the first days of the disaster: neighbors helping flooded neighbors evacuate, good Samaritans rescuing stranded animals, and volunteers pouring in from all over the country to help with recovery efforts. Sometimes in times of strife we see the worst of people but, in this case, we really saw the best of humanity. I was particularly proud of my alma mater, Rice University. It weathered the storm well and, rather than resting on that privilege, more than 2,000 students, faculty, staff, and alumni spent the following week out in Houston helping those less fortunate to recover. Losing a week of school is a major blow to a 14-week semester but the "real world" education these students received through their community engagement trumps anything they would have learned in a classroom. From the eclipse to family trips to hurricane devastation, it has been a roller coaster of a few weeks. We are fortunate to be OK but our hearts go out to those who were less lucky.